Did you have your Lemon today ? Refreshing Lemon water ~ Easy Health in a Glass ! Hope all of you are healthy and enjoying your week. Today want to share a daily habit my friends and I agree to be one of the easiest health tips to do. That is drink some lemon water first thing in the morning, and then throughout the day. 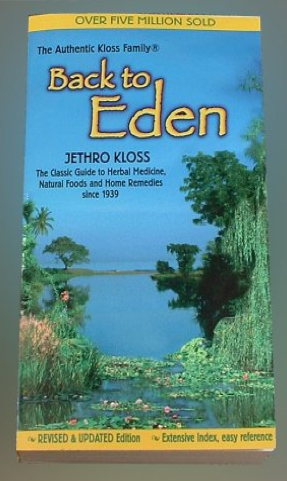 On page 659 of Back to Eden, Mr. Kloss points out that, “The lemon is a wonderful stimulant to the liver and is a dissolvent of uric acid and other poisons, liquefies the bile, and is very good in cases of malaria. Sufferers of chronic rheumatism and gout will benefit by taking lemon juice, also those who have a tendency to bleed, uterine hemorrhages, etc. ; rickets and tuberculosis. In pregnancy, it will help to build bone in the child. We find that the lemon contains certain elements which will go to build up a healthy system and keep that system healthy and well. As a food, we find, owing to its potassium content, it will nourish the brain and nerve cells. Its calcium builds up the bony structure and makes healthy teeth. Since many people today suffer from what they used to call biliousness, it is important to edify our readers to the definition. Biliousness – 1. A symptom of a disorder of the liver causing constipation, headache, loss of appetite and vomiting of bile. 2. excess of bile; a bilious fever. Why the lemon works so well can be found on page 19 of A.F. Beddoe’s book “Biological Ionization in Human Nutrition,” he states that: “Man does not live off the food he eats but off of the energy that is produced from the food he eats.” The energy you get from your food comes from the atoms and molecules of energy in your food. A reaction takes place as cationic food enters the digestive tract and encounters anionic digestive enzymes. To explain further, an ion is part of a molecule con-atom or a group of atoms that carry an electrical charge. Ions which carry negative charges are “anions.” Lemons are considered to be anionic, having more anions (negatively charged ions) of energy as compared to cations (positively charged ions) in their atomic structure. 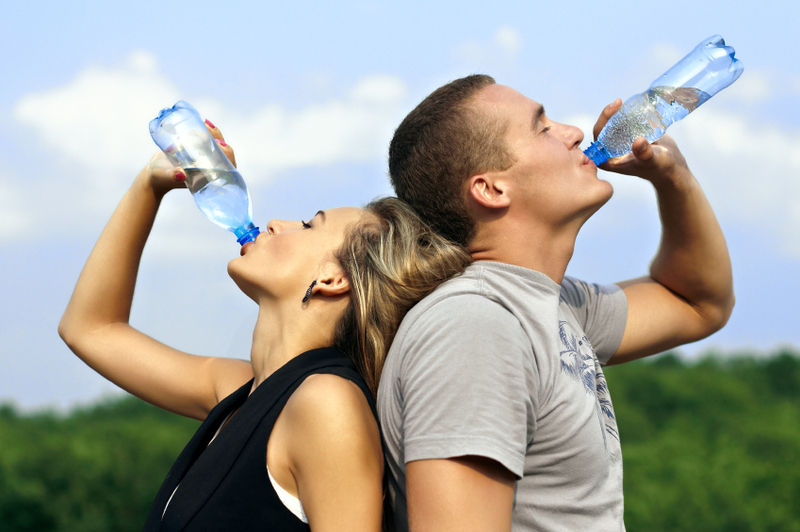 Saliva, hydrochloric acid, bile and the stomach’s other digestive juices are also anionic. Lemon is one of the only foods on the planet that has more anions than cations in its atomic structure. ineffective as a health remedy. Who Can Benefit From Lemon Water? a) provide a natural strengthening agent to the liver enzymes when they are too dilute. b) The liver can make more enzymes out of fresh lemon juice than any other food element. Even though medical doctors are not currently employing lemon juice in the treatment of the above conditions, this article substantiates the fact that one of the benefits of fresh lemon water is the way the citric acid is able to act upon the body’s systems differently than any other food. with one-half water. It is even better to use straight lemon juice. * A slice of lemon bound over a corn overnight will greatly relieve the pain. to the surface where it can be easily removed. * To relieve asthma, take a tablespoon of lemon juice one hour before each meal. added, while at the same time have the feet in a deep bucket or other vessel of water with mustard added to it. The water should be deep enough to where it comes nearly up to the knees. Keep adding hot water to the patient’s tolerance and until the patient begins to perspire freely (about 20-30 minutes). Be sure there is no draft on the person while this is done. The patient should be near a bed so he can get in it easily and avoid any danger of getting chilled. If convenient, a full hot bathtub would be good in place of the foot-bath. The lemon water should be taken every hour until the patient feels that all the symptoms of the cold are gone. * A teaspoon of lemon juice in half a glass of water relieves heartburn. a day: one hour before meals and at bedtime. * In cases of hemorrhage, lemon juice diluted in water and taken as cold as possible will stop it. In these cases, take one to two tablespoons of Aloe Vera Gel before the lemon water. Taking 500 mg. of Bromelin has also proven to be helpful. dimple where the stem used to be located. On the stem end of a highly mineralized, sweet lemon, you will see little lines radiating out of the stem like sunbeams. These little lines can look like a star shaped structure and is called a calyx. The calyx may have three, four, five or more points to the star. The greater the number of points on the calyx, the higher the mineral content of the lemon. 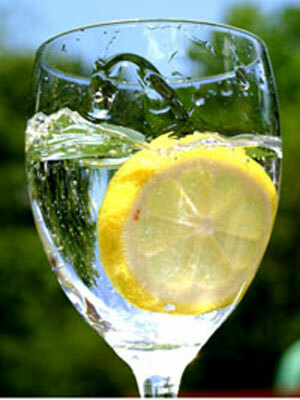 to drinking plain purified water, drinking lemon water daily is the most important thing you can do for your health.